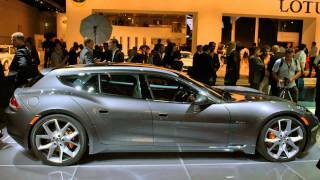 Fisker unveiled an all-new version of the Fisker Karma at the Frankfurt Auto Show. 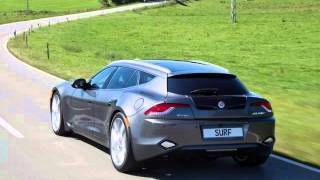 The new model, Fisker Surf, is an electric luxury/sports automobile, actually a crossover between a sport car and a station wagon, that builds on the Karma's heritage and will be offered to global market in 2013. The new Fisker Surf is the world’s first electric luxury/sports automobile for an active and eco-friendly lifestyle. The Fisker Surf builds on the success of the ground-breaking Karma Electric Vehicle with extended range (EVer™) by adding additional, flexible load-carrying capability, along with a spirited new attitude all its own. Fisker Surf combines performance, luxury, style, utility, and economy with an enduring concern for the sustainable use of resources and respect for our natural environment. 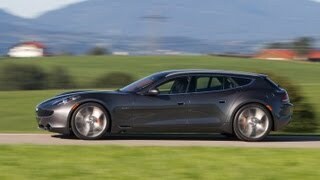 As a global company Fisker Automotive will offer the Surf in all its markets around the world for the 2013 model year. The Surf is Fisker’s vision of a crossover between a sport car and a station wagon and shows how Fisker is expanding its Karma platform rapidly with additional models that again create a new market niche. Fisker Automotive recently announced the signing of an agreement with BMW that will cover the supply of engines and other components for future Fisker models. BMW will supply a four-cylinder turbocharged engine for the next generation of Fisker cars, code-named ‘Project Nina’, which are scheduled to go into production in the re-commissioned former GM plant in Wilmington, Delaware at the end of 2012 and be on sale globally in 2013. The first ‘Project Nina’ derivative will be a mid-size premium sedan utilizing Fisker’s EVer™ technology to deliver on Fisker’s corporate vision of Uncompromised Responsible Luxury. Henrik Fisker, comments; “The BMW engine was an obvious choice for us, as BMW is known for producing the best and most fuel efficient gasoline engines in the world. We are very pleased to have signed this agreement with BMW." Fisker Automotive is proud to announce its RESERVE customizable options program. This exclusive Fisker authorized accessory program will be available through Fisker retailers. The first display car from the program, created in collaboration with Claus Ettensberger Corporation (CEC), offers a variety of aerodynamic components and two wheel options (forged and monoblock) for the Karma with many new exciting products in development. 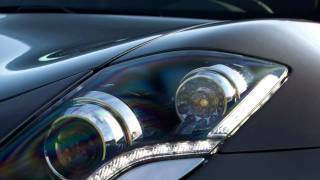 The Fisker Karma Sedan, Fisker Automotive’s first production car, is a luxury electric vehicle with extended range (EVer), representing the company’s firm belief that environmentally conscious cars need not sacrifice passion, style, or performance. 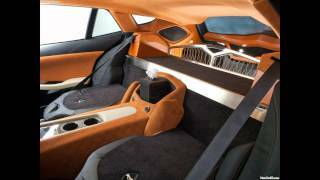 The Fisker Karma has a total of 403 HP with a torque of 981lb./ft. (1300 Nm) at zero rpm. With a total range of 300 miles (483 km), 50 miles in its pure electric mode and 250 miles with the anxiety-free range-extender. The Fisker Karma can also achieve up to 100 mpg (2.4 L/100 km) with just 83g CO₂/km on an annual basis. In sport mode, the top speed of the Fisker Karma is 125 mph and with a 0-60 mph time of 5.9 seconds. Prices start at €85.500 - €98.900 Euros/ $95,900 - $108,900 USD.